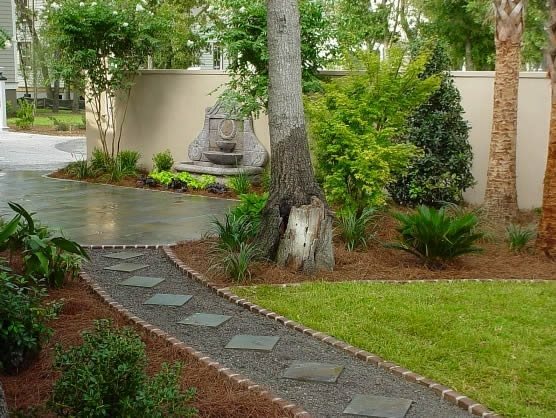 This backyard pathway has a clear destination - a small patio with a wall fountain. Carlile Landscaping in Summerville, SC. There are two main purposes for backyard walkways. 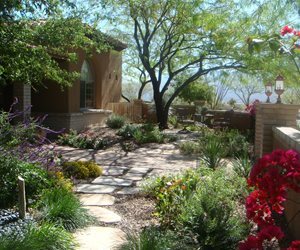 The first purpose is to connect the various spaces in your yard. For example, a walkway can usher people from the outdoor dining patio, to the pool, vegetable garden or fire pit. The second purpose is to provide a path simply for the sake of enjoying the garden. 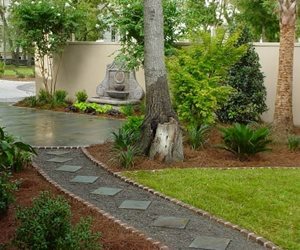 This type of backyard walkway, an example being a labyrinth or mediation path, is meant to be strolled and has no particular destination. 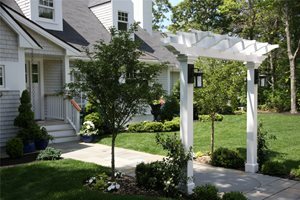 You can get sizing tips for functional walkways with these walkway dimensions. If you have a large backyard and envision distinct outdoor living spaces within it, then you will likely need walkways that serve the purpose of connecting those spaces. Landscape designers like to place destinations such as a fire pit conversation area, or an intimate patio with a gorgeous view far out in to yard and lead people there with walkways. Think of the walkways as passages or hallways that connect outdoor rooms. In this situation, paths should be functional and direct and the destination should be obvious. Such destination spots will get more use if the walkway clearly points visitors in the right direction. This doesn't mean that the path must be perfectly straight, gentle curves and variations are great for adding interest, but don't overdo it. 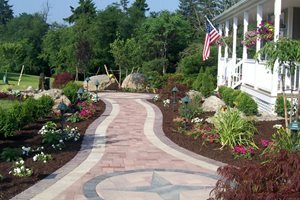 These walkways meander through a front yard garden, allowing visitors to admire the plants and wildlife. 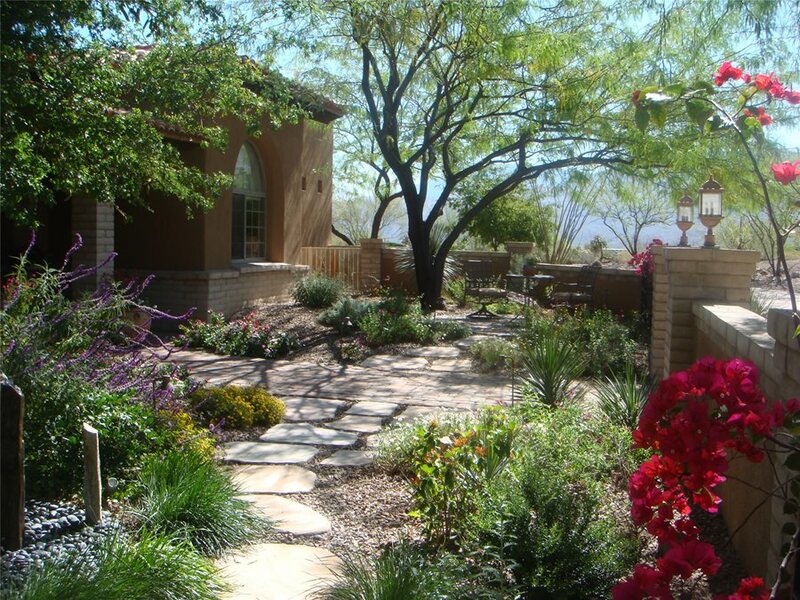 Casa Serena Landscape Designs in Tucson, AZ. 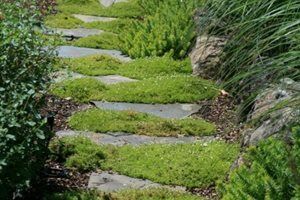 If you want a space within your backyard that is dedicated solely to enjoying plants and wildlife, or to meditation and prayer, then you'll need walkways that invite a leisurely stroll. Such walkways have no destination in mind, rather they curve through a backyard simply to provide a place where one can relax, contemplate and take in their surroundings. These walkways may pop in and out of sight, double back on themselves, split into two, or make a full circle. Your available space and the features or plants that you would like the walkway to pass will impact its layout.